Alexander Hamilton is and was many things: an immigrant, a Founding Father, the face on the $10 bill, and the creator of the Federalist Party, the United States Coast Guard, and The New York Post newspaper. He was also the nation’s first Secretary of the Treasury and, as such, was responsible for designing the American financial system (i.e., the Bank of the United States). His contributions have not only been celebrated, but also commemorated throughout the Financial District. Hamilton practiced law at his home and office on 57 Wall St. before moving to 69 Stone Street, and then Exchange Place. Just before their infamous duel on July 11, 1804, Alexander Hamilton and Aaron Burr had their last social meeting at the Fraunces Tavern. One of the biggest scandals of the day was the Compromise of 1790, also known as the “Dinner Table Bargain.” Hamilton wanted the national government to assume and pay state debts, and Thomas Jefferson and James Madison, who would be future Presidents, wanted to move the nation’s capital from New York to Washington D.C. The three politicians met at Jefferson’s New York City residence at 57 Maiden Lane. The house is no longer there but there is a plaque in its place. After Alexander Hamilton became Secretary of the Treasury in 1789, he attended two sessions held by Congress which met at Federal Hall. There, Hamilton submitted reports that eventually became legislation, including the Tariff Act of 1790. As a lawyer, Hamilton also argued cases at Federal Hall, including the “Manhattan Murder Trial” in 1804. Hamilton’s funeral was on July 14, 1804 at Trinity Church. He is buried there, along with his wife, Eliza, and his first son, Philip. 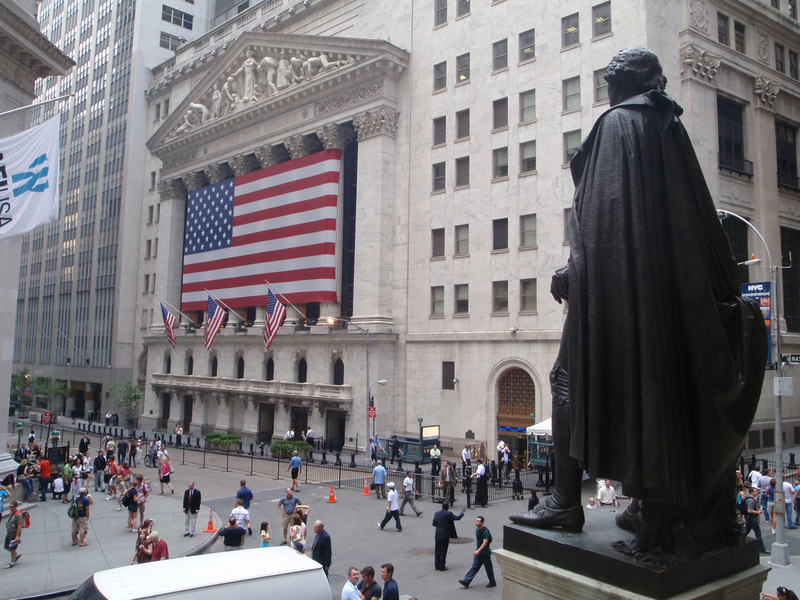 Learn more about the history of Wall Street on one of our critically acclaimed tours.